Manhattan District Attorney Cyrus R. Vance, Jr., joined Rabbi Abraham Cooper, Associate Dean of the Simon Wiesenthal Center, and Richard Eaton, Simon Wiesenthal Center Senior Researcher, today to release the Simon Wiesenthal Center’s 2014 Report on Digital Terrorism and Hate. The annual report details websites, online forums, and social media users that use the internet to promulgate hateful ideologies and promote terrorism. The report collected information from websites around the world. Included in the report on Digital Terrorism and Hate are examples of social media and websites targeting Jews, Muslims, and other religious communities, as well as sites that provide instructions for carrying out terror attacks. One such site mentioned in a previous report, Al-Qaeda’s Inspire Magazine, was used by Jose Pimentel, a lone-wolf terrorist convicted by the Manhattan District Attorney’s Office for attempting to build a pipe bomb that he intended to use to target servicemen and women returning from Iraq and Afghanistan. Another terrorist convicted by District Attorney Vance, Ahmed Ferhani, was sentenced last year in New York State Supreme Court to a decade in prison for trying to obtain explosives and munitions with the intent to kill Jewish people in New York Synagogues. 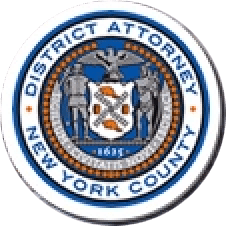 In May 2010, District Attorney Vance formed the Manhattan District Attorney’s Hate Crimes Unit to strengthen the Office’s investigation and prosecution of hate and bias crimes. The Unit collaborates with the NYPD and community organizations to develop strategies that seek to prevent bias-motivated crimes, whether based on race, ethnicity, gender, religion, or sexual orientation. Since the creation of the Hate Crimes Unit, the Office has had eight eligible defendants who had been charged with hate crimes successfully complete a unique Restorative Justice program that the DA’s Office launched in conjunction with the Museum of Tolerance New York, a Simon Wiesenthal Center Museum. Each session at the Museum included a tour of the Museum’s exhibits, interactive workshops, videos, guided discussions, and special instruction by Museum educators to explore issues of prejudice and tolerance. The Museum reports back to the District Attorney’s Office about the defendant’s participation.